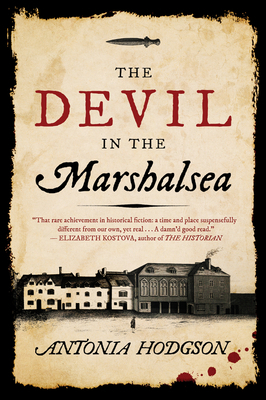 The Marshalsea Gaol is a world of its own, with simple rules: Those with family or friends who can lend them a little money may survive in relative comfort. Those with none will starve in squalor and disease. And those who try to escape will suffer a gruesome fate at the hands of its ruthless governor and his cronies. The trouble is, Tom has never been good at following rules, even simple ones. And the recent grisly murder of a debtor, Captain Roberts, has brought further terror to the gaol. While the captain's beautiful widow cries for justice, the finger of suspicion points only one way: do the sly, enigmatic figure of Samuel Fleet.